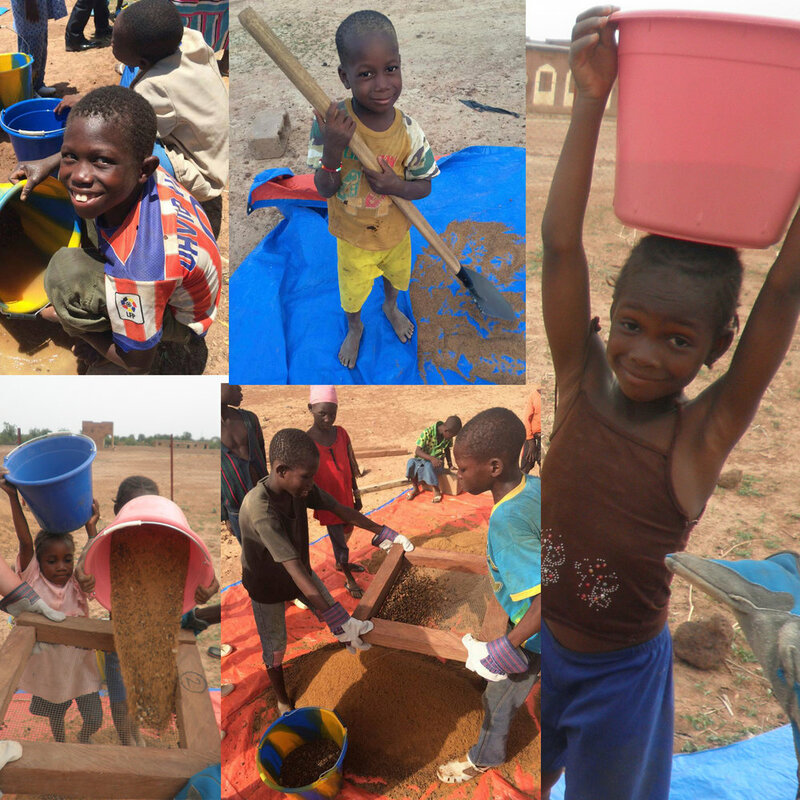 In 2014, OHorizons received an urgent email asking for assistance from the Mali Water Project, a nonprofit student organization formed at the University of Illinois Urbana-Champaign that had developed and was implementing a safe drinking water project with the help of local community members in the remote village of Konilo-Coura, Mali. The Mali Water Project was started in 2010 when Dr. Osee Sanogo, a postdoctoral research associate at the University of Illinois Urbana-Champaign and native of Konilo-Coura, decided to create an interdisciplinary student team through the University’s Learning in Community Course. His vision was for this organization to support his home village in the creation of a reliable, economically feasible, and sustainable solution to their water shortage and quality problems. Here’s what Dr. Osee Sanogo had to say about the situation in Konilo-Coura. The Mali Water Project traveled to Mali twice. The first time was in June 2011 with 8 people to do a baseline survey and get a better understanding of the situation. The team returned in June 2014 with 5 people to actually implement their context-appropriate safe drinking water projects including the implementation of concrete BioSand Filters. Village children play in and around an empty well. University of Illinois at Urbana-Champaign Professor Valeri Werpetinski with Konilo-Coura community members. When the second group arrived in Mali in 2014, they realized the steel mold they had contracted to be made by a local welder, for their BioSand Filter Project, had been made incorrectly. They started searching for an immediate solution to their dilemma. They found us online, were intrigued by our Wood Mold innovation, and contacted us about the possibility of using our design for their project. We saw the student group in Mali as an excellent test to see how a project would function without us being there to supervise. After a phone call with the MWP, to get a better understanding of who we’d be working with and the needs of the community they were working with, we sent our Construction Manual to their team in Mali. They immediately downloaded our Construction Manual and purchased the necessary materials. Within a matter of days they had successfully constructed several Wood Molds and were pouring filters. They did all of this in West Africa, with very little instruction from the OHorizons staff and with no electricity! The whole community took part in the production of their BioSand Filters! The kids prepared the sand. The community produced 8 BioSand Filters that are still being used daily. Here they're transporting a filter to its home. This was a very exciting development for OHorizons. The entire reason behind inventing the Wood Mold was to reduce as many barriers as possible (financial, technical, etc.) to getting a drinking water project underway. Even though the OHorizons team had seen that our Construction Manual had the potential to be self-taught, it was still exceptional to see how smoothly a group of students, who a week before were unaware of our innovation, were able to follow our step-by-step manual and work with illiterate community members to construct our Wood Molds. We concentrated our next couple of months on making the Construction Manual shorter, as user-friendly as possible, and more visual. Utilizing our in-the-field experience from our in-person training's, we we’re able to cut the manual down from about 180 pages to around 80 pages. Today, the construction manual and its accompanying Appendix are super easy to follow and available to download for free from our website. We are currently translating the Manual and Appendix to Spanish, French, and Portuguese. These versions of the manual should be available to chose from on our website by late Fall 2016. Since making our Construction Manual open-source in April of 2015, over 280 people and organizations from over 40 different countries have downloaded our Wood Mold Construction Manual from our website! We believe access to safe drinking water is a human right and with your support we're working diligently to make it a reality. With a $10 donation to OHorizons, you can give a person clean drinking water, right inside their home, for life! Being Part of the Maker Community & Winning the InfyMakers Award!